We also very welcome any "OEM/ODM projects" to cooperate for each other. We can offer valuable suggestions from production point of view to enhance your design and cost effectiveness. Please don't hesitate to contact us if you have any inquiry. 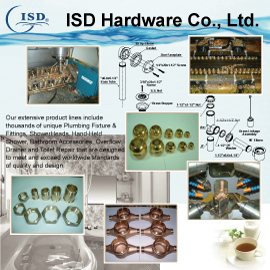 ISD Hardware Co., Ltd. combines with the professional skill and market sense to create our exclusive style for "Plumbing Fittings and Fixture". Furthermore, our extensive sources and equipments will make sure to fill the bill of your want. With many years of experience, ISD Hardware Co., Ltd. has been a specialized manufacturer and exporter of Sanitary were and Bathroom accessories in Taiwan. 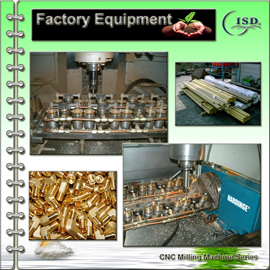 Our various facilities can provide OEM&ODM service. Specific requirements, customer's original designs and specifications are also welcome.